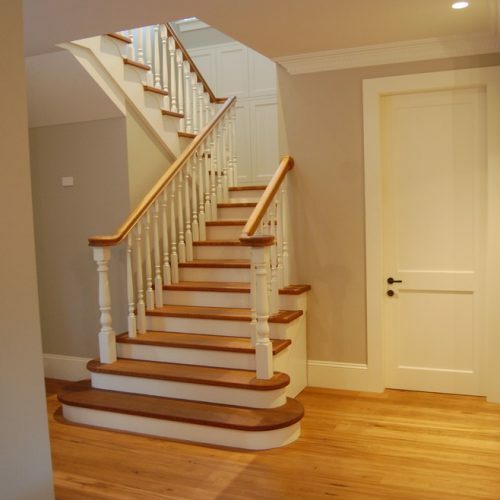 Stringers and risers are constructed in Pine and painted to match the doors and skirting boards. Treads are of 280 x 42 mm Laminated Victorian Ash a durable and cost effective sustainable hardwood. 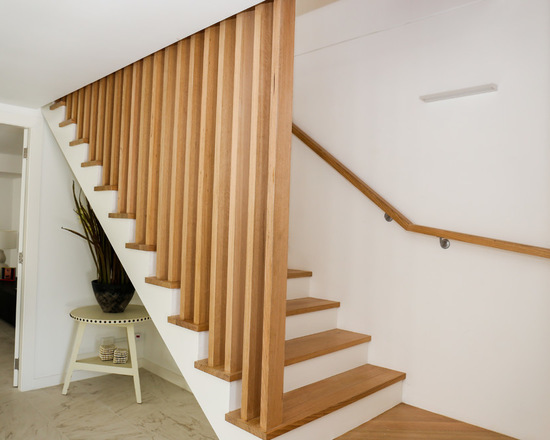 The timber tread and painted stringer/riser appearance gives away a floating effect which when looking at the stair from the bottom of the stair there becomes a visual break between tile and tread. 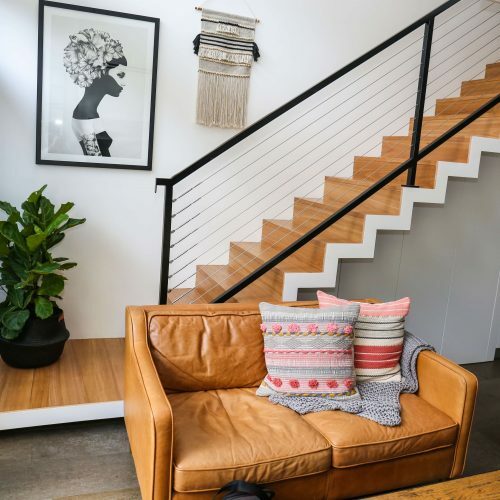 The Castlecrag is an open riser, black metal mono stringer staircase with Select Grade Victorian Ash Treads and Nibs. 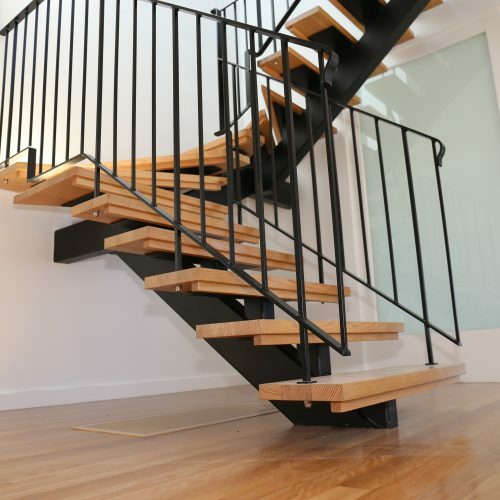 The Balustrade is constructed of Black Powder-coated Mild Steel. 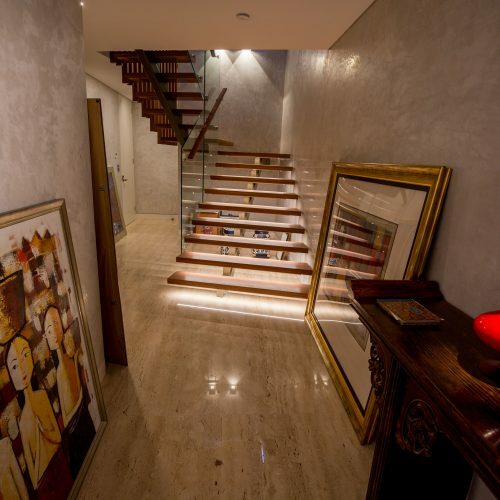 The Cammeray Stair is of open rise, cut stringer construction. Stringers are constructed in 250 x 10mm Mild Steel powdercoated in a light grey to match the carpet on the mezzanine level. 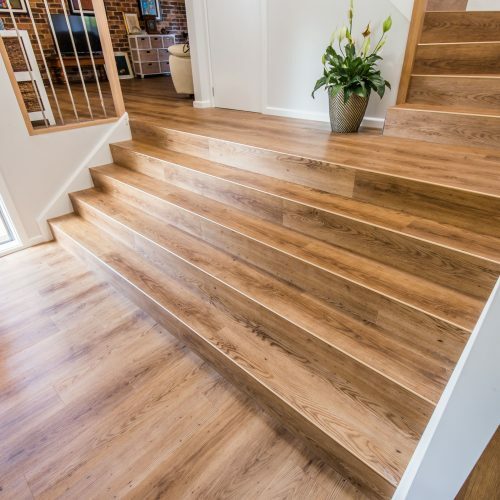 Treads are of 280 x 70mm Laminated Blue Gum a durable and dense hardwood to last years. 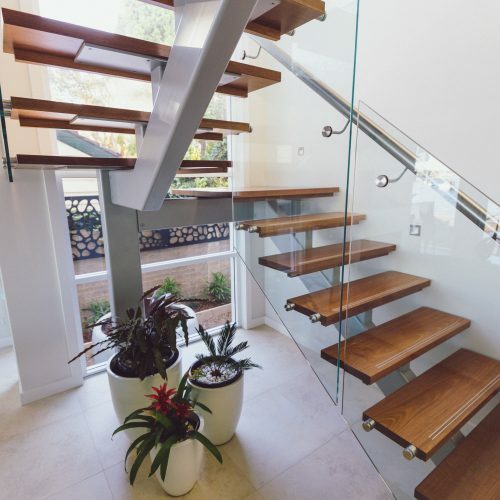 The contemporary staircase is of metal mono stringer, open rise spotted gum treads to enhance and match the timber floorboards. 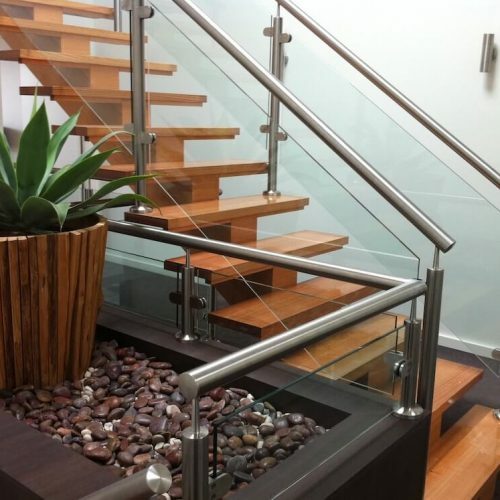 The metal used for the mono stringer whilst adding support creates a distinction between the staircase and the timber floorboards to showcase the floating steps. 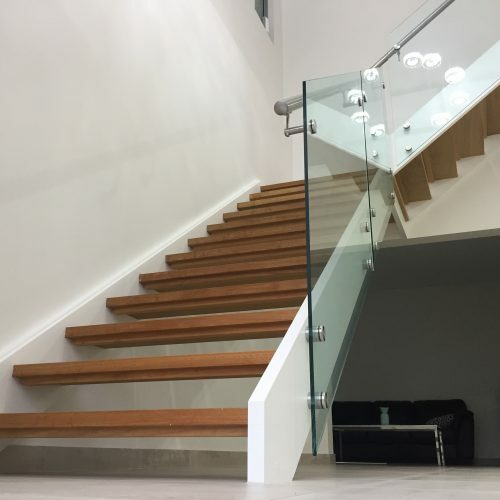 We’ve used a frameless glass balustrade with steel rail and fittings to make the stairs look for more seamless and unique. 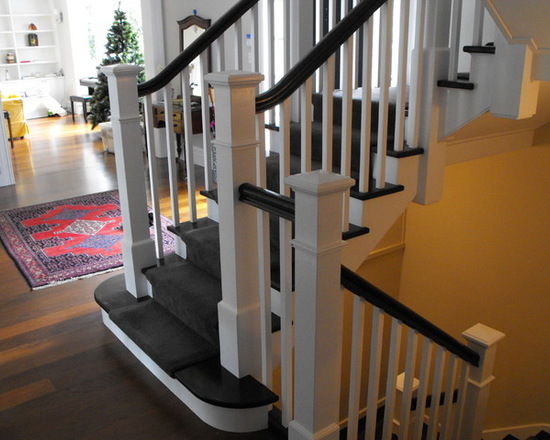 Our focus of the staircase was the stained timber treads and handrail with all other timber components painted to match the tall skirting boards in the home. 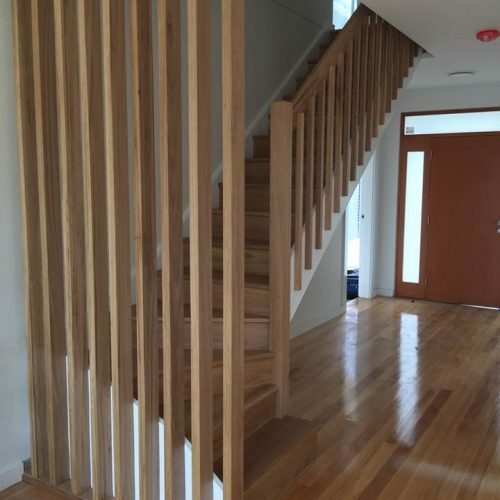 The Cut Stinger construction with traditional Scotia under each nosing showcased the solid timber treads, giving the floor an almost floating look as you moved between levels. 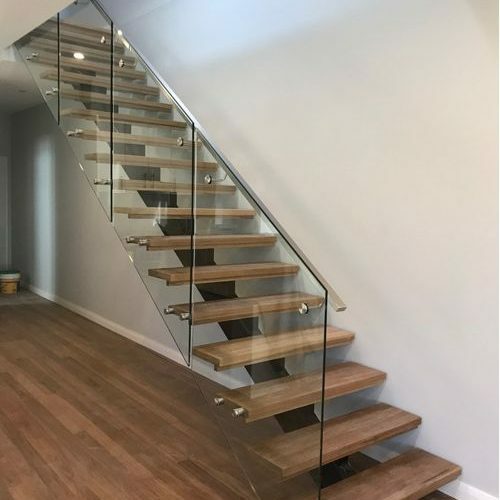 This contemporary timber Monostringer staircase is constructed in Victorian Ash and utilizes a stainless steel semi-frameless glass balustrade. 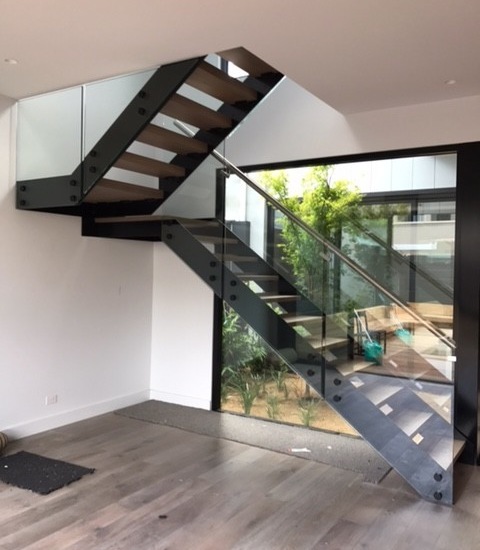 Open Riser, Closed Mild Steel Stringer Staircase. Treads are in Victorian Ash with 12mm Frame less Glass Balustrade. All Stringers and Patch Fittings are Powder coated texture black. 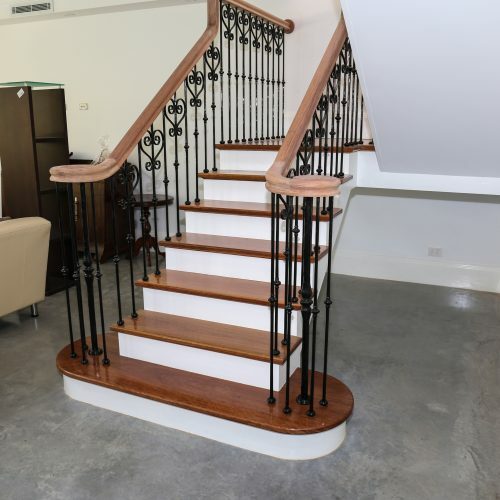 The Araluen is an Closed Rise, Cut String Staircase using custom painted turned balusters and posts.This design incorporates a continuous S1 – Moulded Blackbutt Handrail complete with volutes and handcrafted bends in order to produce a continuous handhold throughout the entire staircase. 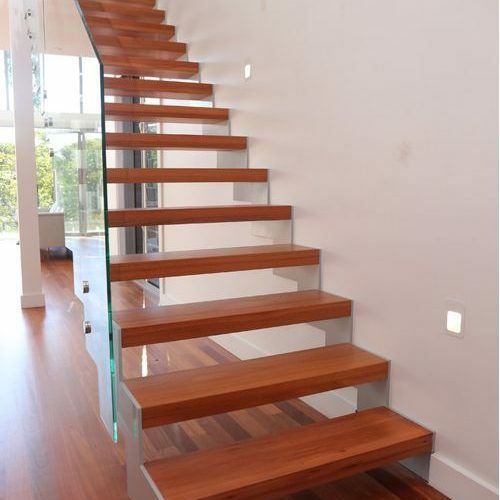 This staircase is constructed to match the contemporary open plan living design seen in many home renovations. 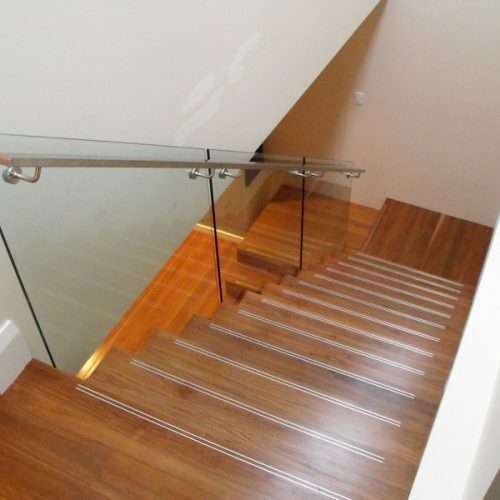 This Grey Ironbark Staircase was constructed around its Sawtooth stringer. Both treads and risers are 32mm thick joined using an 8mm shadowline detail. The reason behind using a 32mm tread and riser is to create a jagged line of the same width from the ceiling to the floor below.